We know that blind children are just as creative and interested in art as their sighted peers. 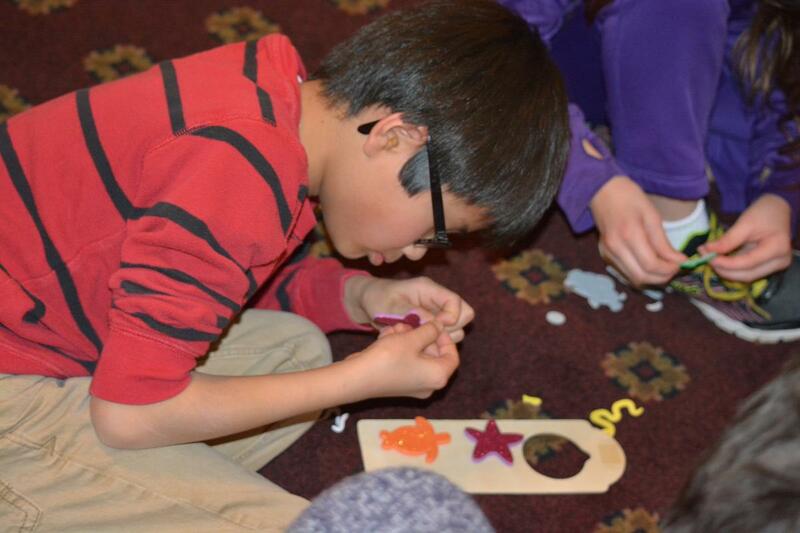 The American Action Fund for Blind Children and Adults is continuing its Tactile Art Program for children ages 2 through 8 with phase II of the program. Children will receive items to make tactile drawings as well as other elements to decorate, outline, and color their drawings. We intend for this program to expand the creativity and tactile access to pictures for young blind children. No child should be left out because he or she is blind. 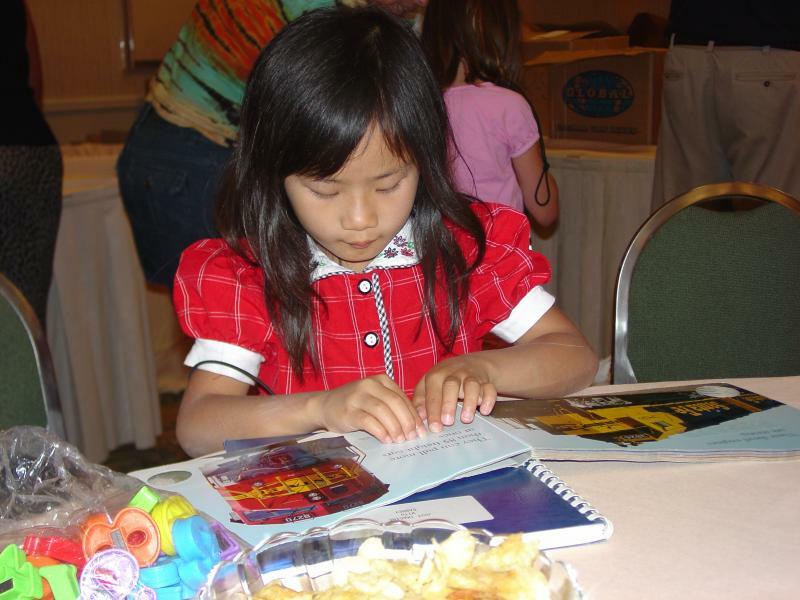 Through the American Action Fund Free Braille Books program, blind children can now discuss the newest book or magazine with their classmates and build their very own collection of books from popular children's reading series, just like their sighted friends. Not only does the program benefit those actually enrolled, but due to collaboration with the National Library of Congress, Library for the Blind and Physically Handicapped, copies of each selection from the program are placed in regional libraries for the blind around the country. More information about the program and how to apply can be found at the link above. Each year, the American Action Fund provides an extensive collection of Braille books to the Braille Book Flea Market conducted at the national convention of the National Federation of the Blind. This unique event provides hundreds of Braille readers of all ages the rare opportunity to build their very own collection of Braille books--free of charge. American Action Fund volunteers (including many board members) sort and set out the books, assist browsers as they look for titles, and work with volunteers from UPS to pack and ship the books for the guests who have come from all over the country to participate in this one-of-a-kind event. Contact [email protected] for more information. In order to further promote Braille literacy, the American Action Fund lends its support to the Braille Reading Pals Club, a pre-literacy program encouraging parents to read with their child using Twin Vision® (print-Braille) storybooks. To promote interest from the child, a stuffed, toy animal "pal" is brought out during reading time each day. Parents are provided with monthly newsletters, activity sheets, and are connected with a network of parents with whom they can relate, exchange resources, and give and receive ongoing support. For more information about this exciting program, please contact [email protected]. The American Action Fund has served as a proud, primary sponsor of several initiatives aimed at promoting the ability of the blind to participate actively in the science, technology, engineering, and math (STEM) subjects. For too long, society has pushed the idea that sight is required for active participation in these areas. In the classroom and in the field, interested blind people are steered away from STEM, even though there are many examples of blind scientists, blind engineers, blind university professors in STEM, and other professionals who have used nonvisually accessible techniques to master their craft and achieve success in the STEM arena. To effectively correct this error, young blind students must be shown that they can participate actively in their science classes and that a future profession in science is perfectly within their grasp. By providing hands-on experiences and tactile materials, these programs are prime examples of how to use nonvisual teaching methods and blind role models in the classroom to engage blind youth in the study of science and math. The American Action Fund anticipates supporting many other similar future endeavors. For more information, contact [email protected].